Oregano is a culinary herb used most prominently in Mediterranean cuisine. However, it is the oil derived from this herb that has caught the attention of researchers. Oregano oil, which is extracted from fresh oregano leaves, has been shown to have antimicrobial properties. Studies have shown oregano oil is effective in the treatment of candida albicans (intestinal yeast), parasites and staph infections. A US Department of Agriculture study showed oregano oil is effective in the treatment of Salmonella and E.coli. A recent study found oregano oil to show strong activity against parasitic organisms in the intestinal tract. Oregano oil has been shown to be more effective against the parasitic giardia than some drugs used for that purpose. Oil of Mediterranean oregano was orally administered to 14 adult patients whose stools tested positive for three different parasites. After 6 weeks of daily supplementation with 600 mg of oil of oregano, there was complete disappearance of these organisms in four of the adults, complete disappearance of one of these organisms in eight adults and the total disappearance of another of these organisms in one adult. There are over forty varieties of oregano. It appears that the variety thymus capitatus grown in Spain and the variety origanum vulgare grown throughout the rest of the Mediterranean, have the most medicinal value. The following components of oregano oil have been shown to have therapeutic value. Carvacrol has been demonstrated in various studies to be a strong antimicrobial and has been used to preserve food. Thymol is a natural fungicide with antiseptic properties. It is the active ingredient in some mouthwashes. Terpenes is a substance in oregano oil shown to have antibacterial properties. The rosmarinic acid found in oregano oil acts as a strong antioxidant and has been shown to be effective in the treatment of allergic asthma and to act as a natural antihistamine. Naringin is a substance in oregano oil that has been shown to inhibit the growth of cancer cells..
A study reported in the Journal Experimental and Toxicologic Pathology involved treatment with oregano oil of induced colitis in rats. The study found a significant positive difference between the rats treated with oregano oil and those not treated (the control group). Those rats treated with oregano oil experienced a pronounced healing response as compared to the control group. In another study, rats had part of their livers removed. Researchers found that liver regeneration increased significantly in rats given oregano oil compared to the control group. This regenerative effect was attributed to the carvacrol in the oregano oil. This study was reported in the journal Phytomedicine. In another study reported in Phytomedicine, the effect of carvacrol in the liver of rats subjected to restricted blood supply was examined. It was found that carvacrol was able to protect the liver against defects caused by restricted blood flow. In the book, The Cure is in the Cupboard, author Dr. Cass Ingram discusses how treatment with oregano oil virtually saved his life after he had developed a serious fungal infection from an IV needle. Dr. Ingram lists many health conditions for which he feels oregano oil can be helpful as both a topical and internal application. Back in the 1970’ the French doctor Belaiche determined that out of all natural essential oils, oregano was the closest to an ideal antibacterial agent. Dr. Belaiche writes that oil of oregano provided him with amazing results in treating infectious diseases. Dr. Harry G. Preuss, a professor of physiology and biophysics at Georgetown University, tested oregano oil on staphylococcus bacteria. Oregano oil was combined with bacteria in a test tube and its effects were compared to the use of antibiotics such as streptomycin, penicillin and vacnomycin. It was discovered that the oregano oil at relatively low doses was found to inhibit the growth of staphylococcus bacteria in the test tubes as effectively as the standard antibiotics. The oregano oil used in this study was Oreganol P73 from North American Herb and Spice. 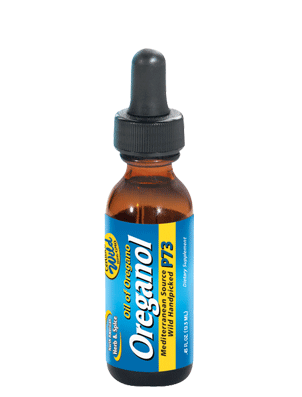 The oregano in Oreganol P73 has been tested at Cornell University in Ithaca, New York. It was determined that this particular oregano killed 100% of the thirty species of bacteria tested in vitro (test tube). Findings published in volume 228 of the Journal of Molecular and Cellular Biochemistry demonstrated Oreganol P73 produced significant anti-fungal activity. Oreganol P73 is made from wild, mountain-grown, Mediterranean oregano. It is free of pesticides and herbicides. It is emulsified in a carrier oil such as extra virgin olive oil. Oreganol P73 is produced by cold pressing and steam distillation. No chemicals are used to extract the oil. 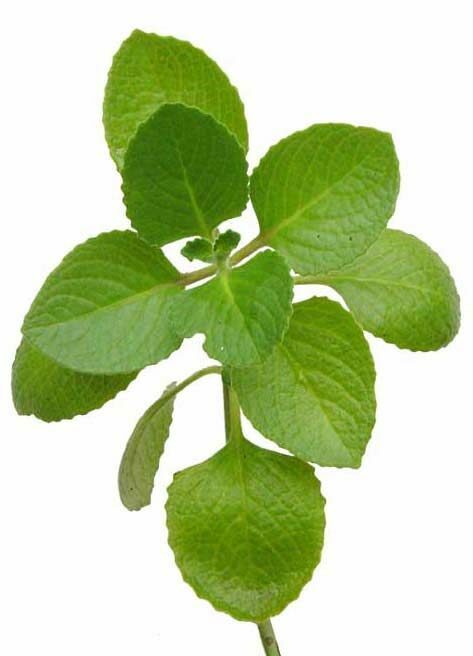 Because of its high quality and track record of effectiveness, when buying oregano oil, we recommend Oreganol P73 from North American Herb and Spice. At Milk ‘N Honey, we carry both their standard and extra strength oregano oil. Oreganol P73 is available as a liquid or in capsules.